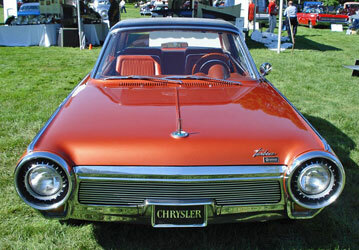 Dramatic rear view of the early sixties Chrysler Turbine Car. 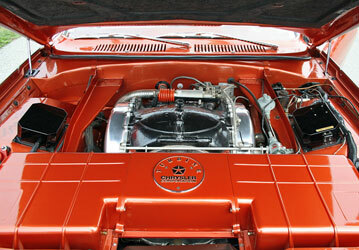 Front view of the Chrysler Turbine Car. 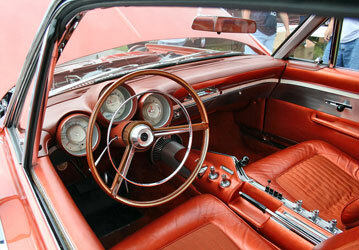 The interior layout of the Chrysler Turbine Car. Revolutionary design of the turbine engine. 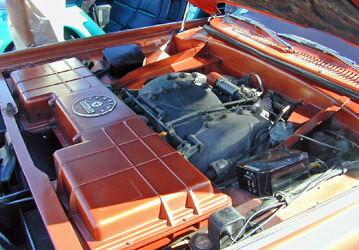 Another view of the turbine engine.